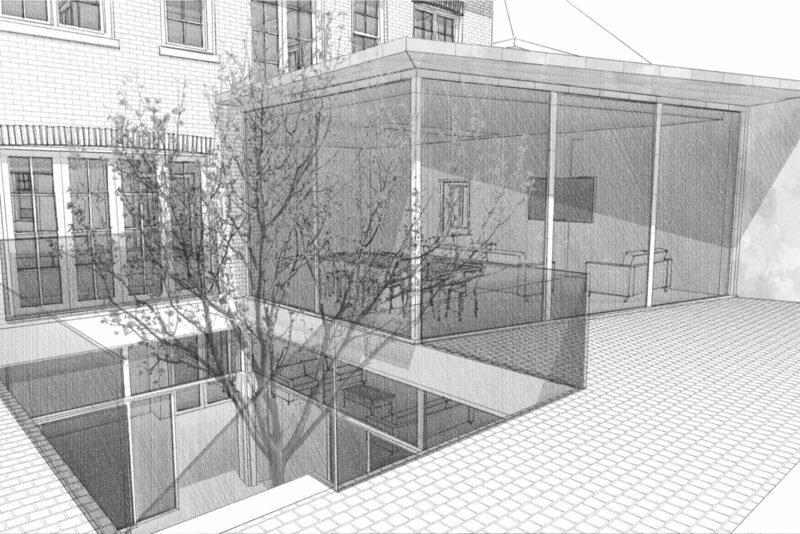 Large panes of structural glass will give a clear panoramic view of the garden and valley beyond. 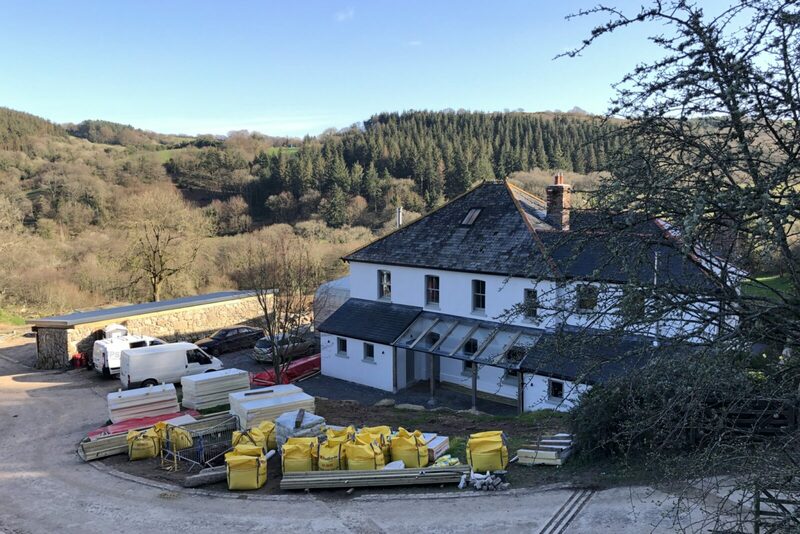 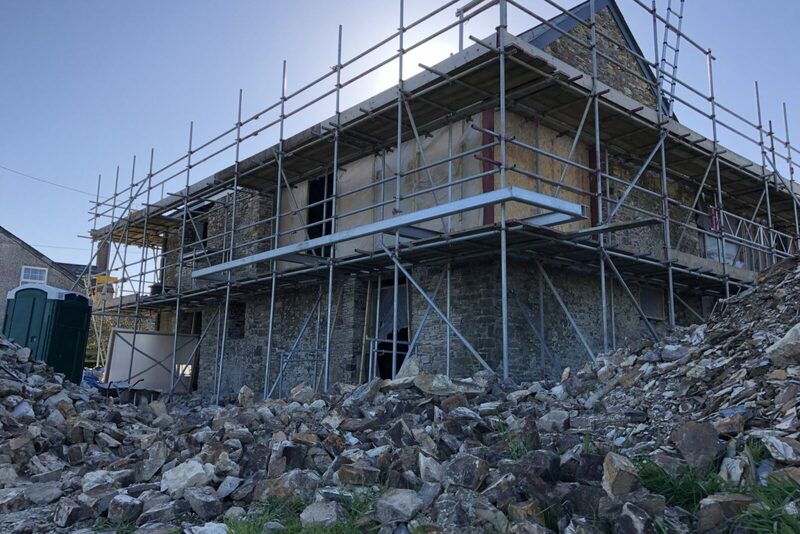 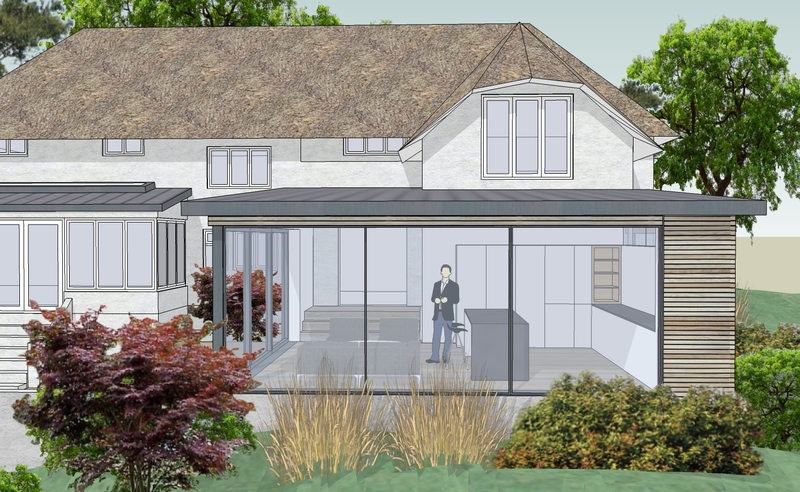 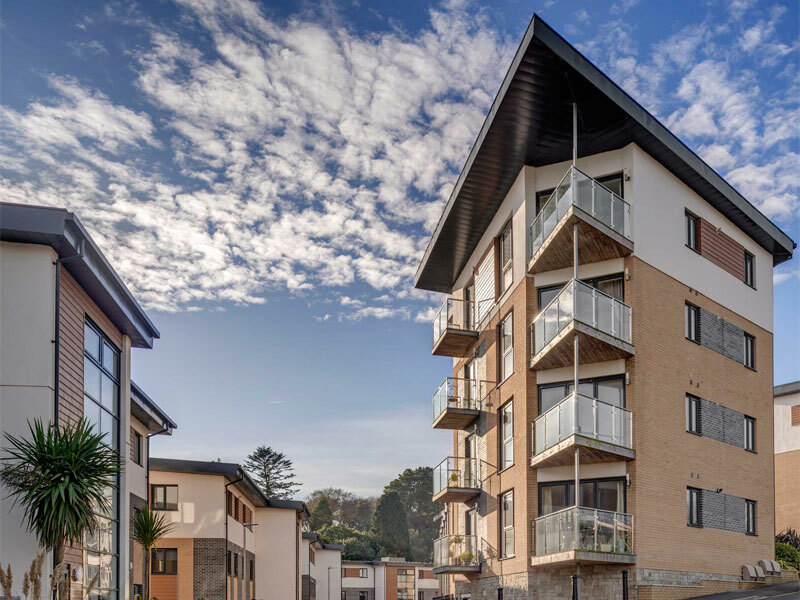 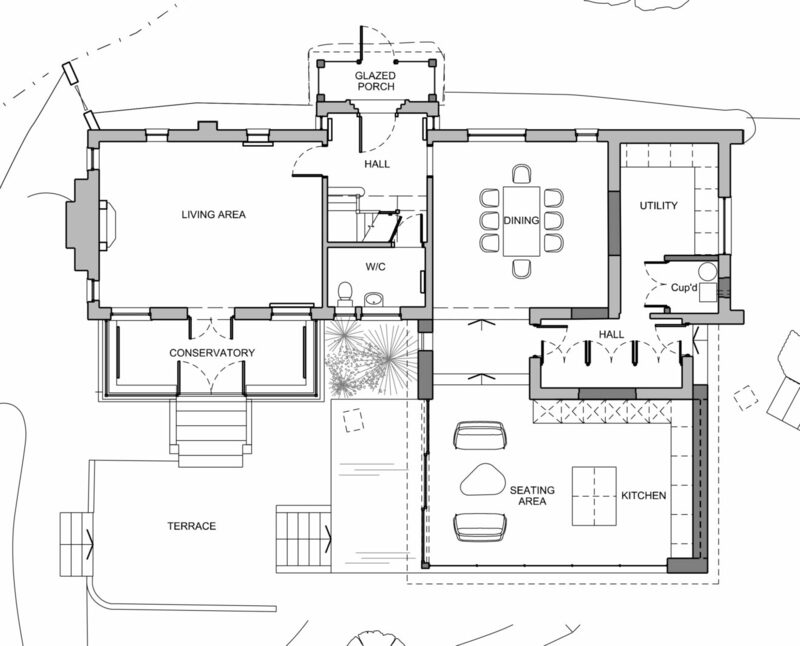 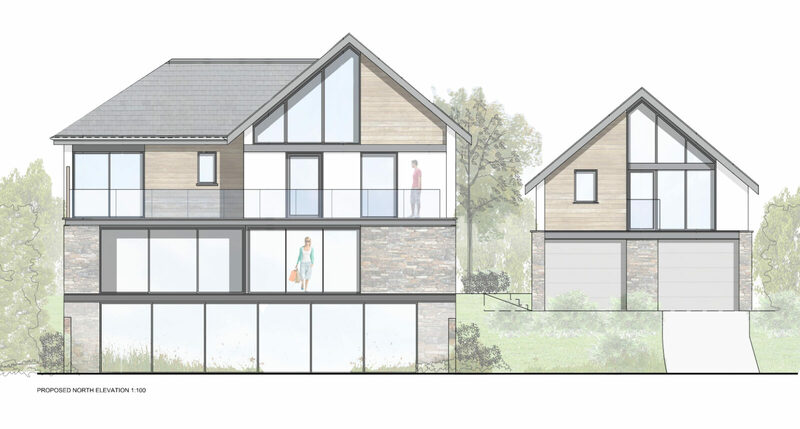 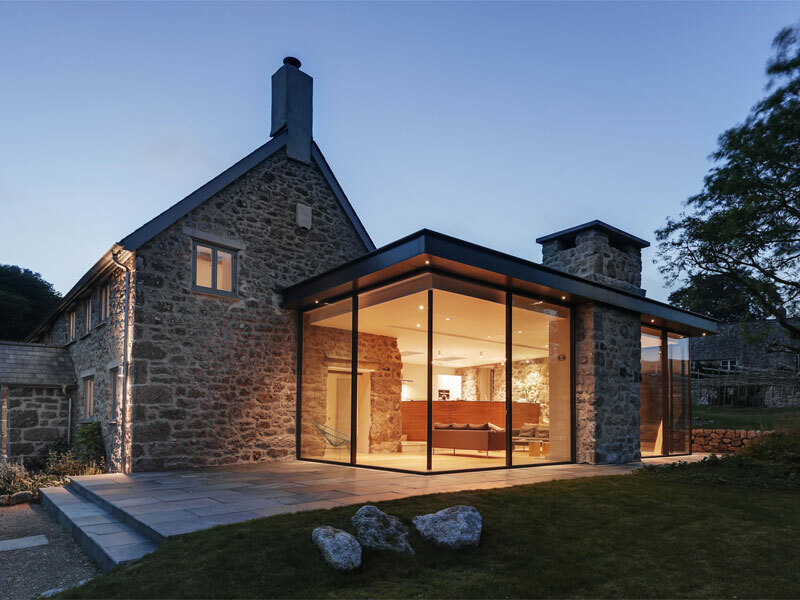 Planning permission has been received from the Dartmoor National Park Authority for a new garden extension to a thatched roofed house in Ashburton, Devon. 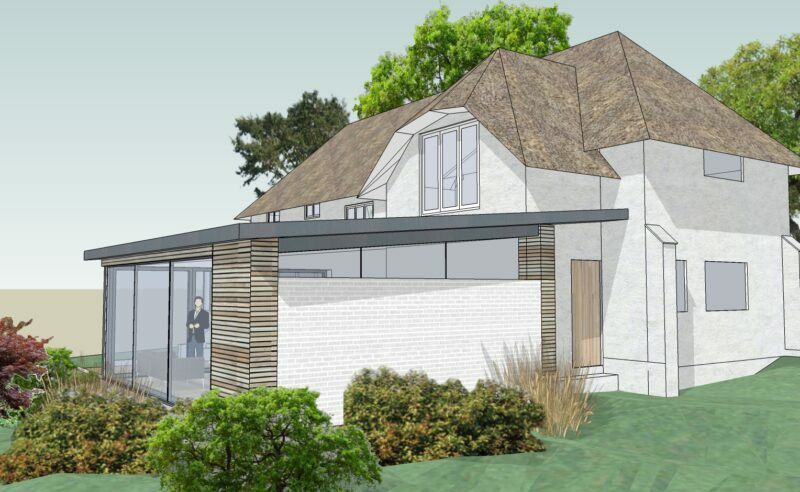 Being keen gardeners, the client’s brief was to improve the connection between the house and the large garden; relocating the kitchen from the side of the house to a more prominent position where the garden can be enjoyed. 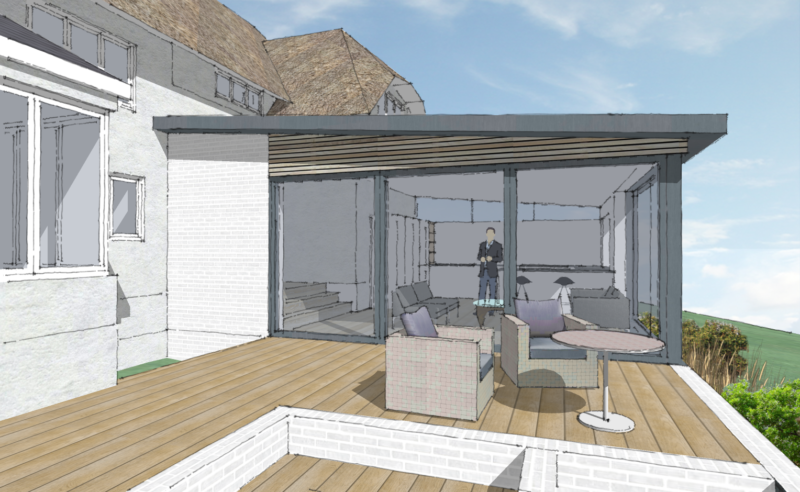 This extension would also frame an outdoor seating area. 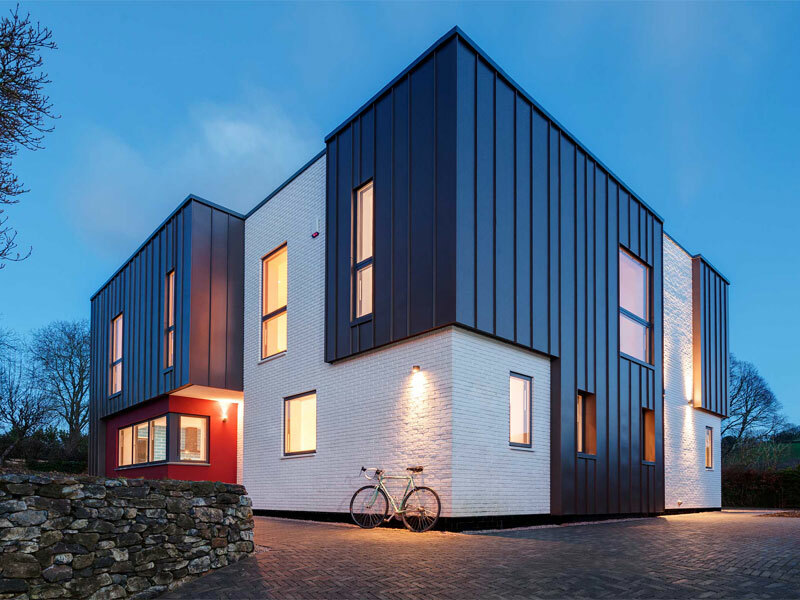 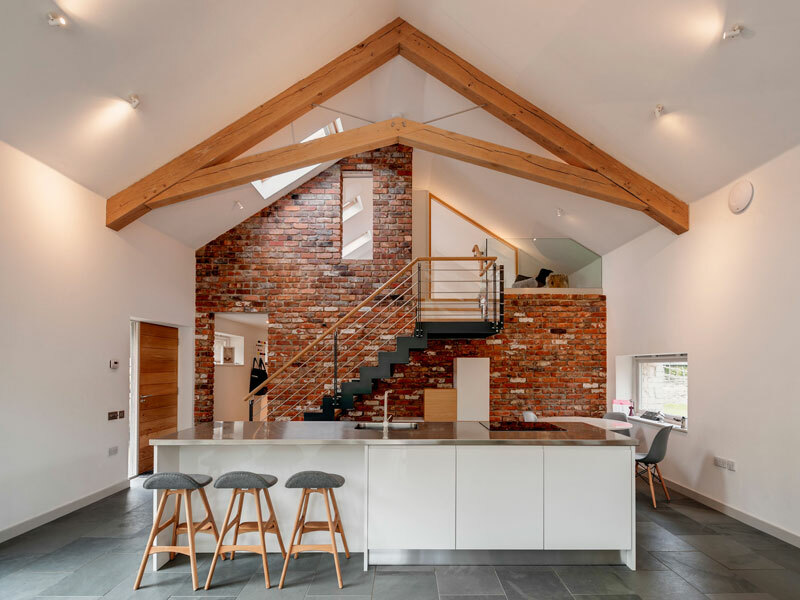 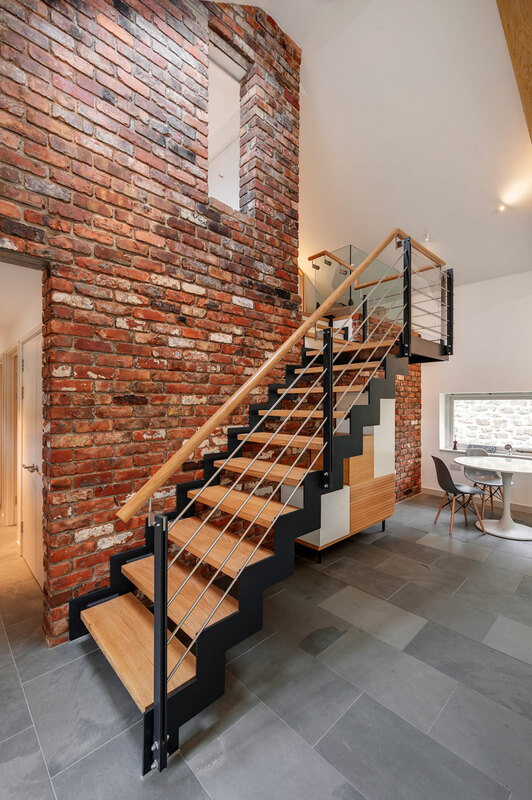 The existing house is white rendered and thatch-roofed, and neutral tones of white painted brick, grey metal, and silver-brown timber have been used in the extension to compliment this palette, whilst maintaining its own identity. 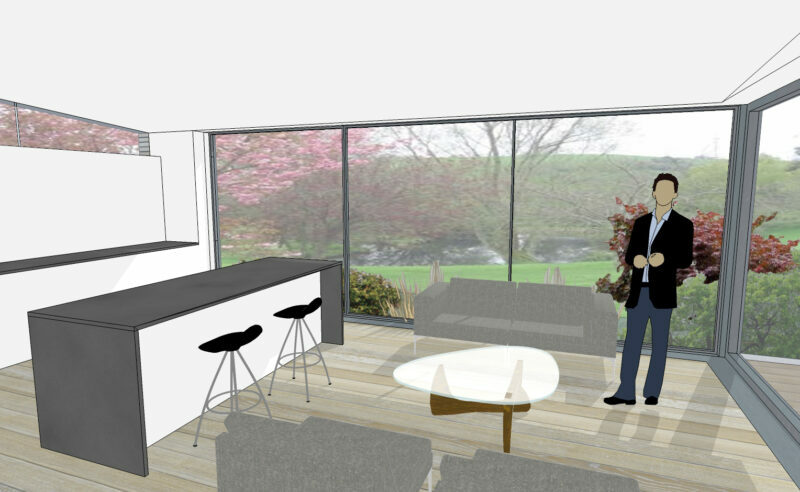 The site slopes down towards the garden and valley, and the extension floor level drops down from the main house to allow the extension to sit more comfortably against the house in terms of scale, whilst better relating to the garden level below.